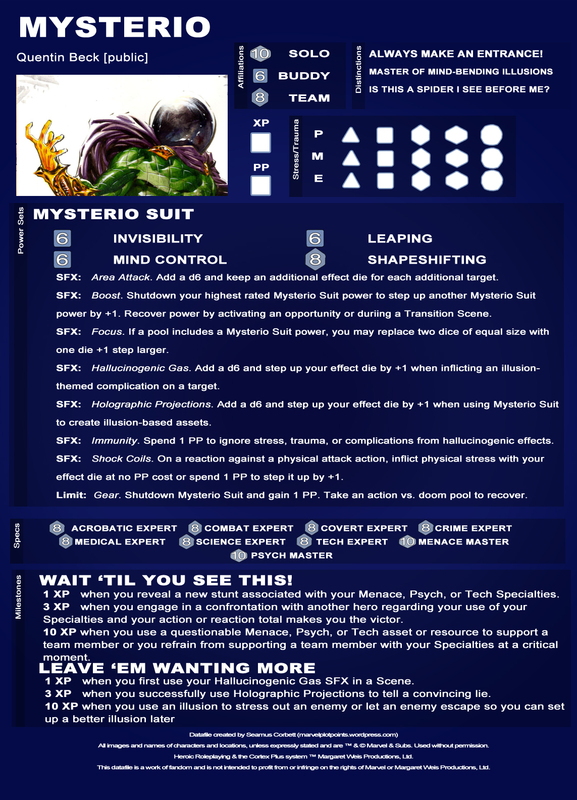 Hero Datafile: Sinister Six Bonanza! Hey everybody. So we’ve had a bit of a dropoff this week. What better can be said than, “Life happens.” We didn’t quite get around to all the Sinister Six members according to the schedule we wanted to follow. Instead of just going at it on datafile at a time, we decided to make up for lost time by throwing them all together at once. 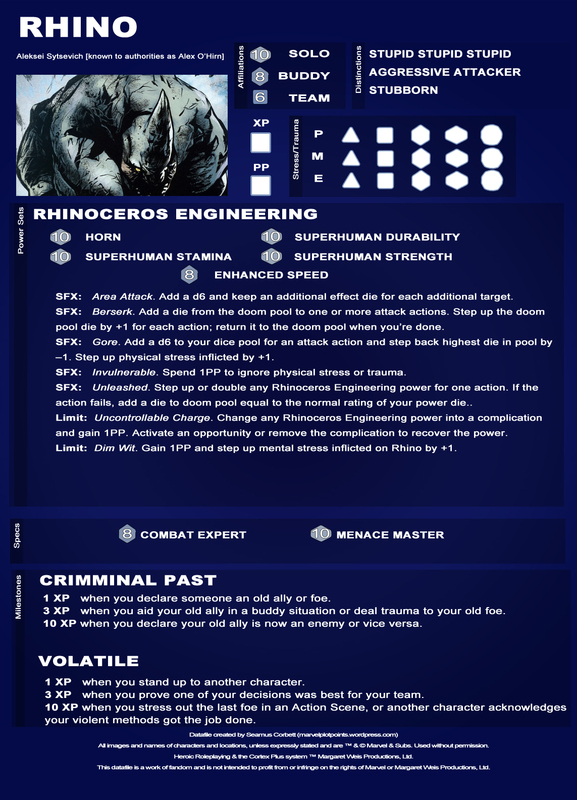 Be sure to check the wiki links for more info on each of our Spider-Foes. Also, here’s hoping The Amazing Spider-Man is as awesome as our wildest fantasies! Be sure to get the printer-friendly versions of all of our datafiles here. 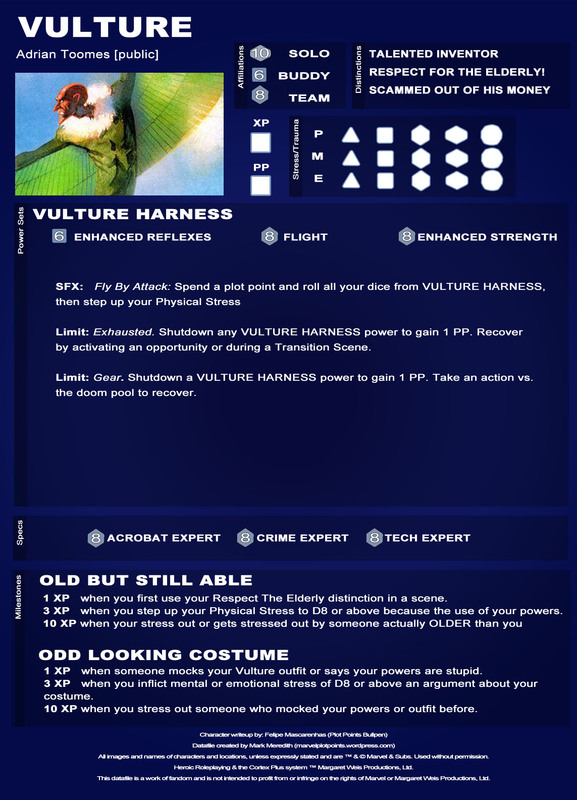 Great looking datafiles, but the Vulture is sadly missing amongst the printer-friendly versions. Thanks for creating and sharing these. There are some datafiles that still need to be converted to PF version most (if not all of those) are in my charge. I will try to fix that in the next week or so! These are great! Very professional looking. This entry was posted on June 29, 2012 by icuseamus in Datafiles. 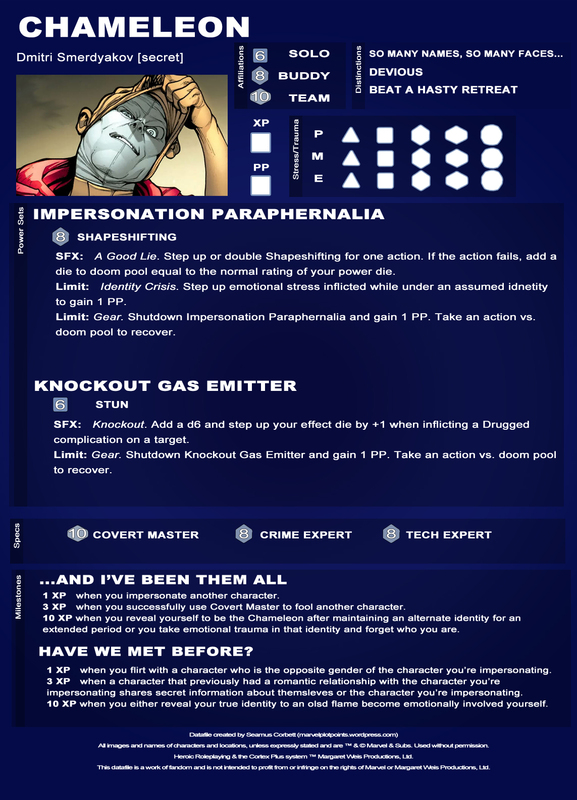 All images and names of characters and locations, unless expressly stated and are ™ & © Marvel & Subs. Used without permission. 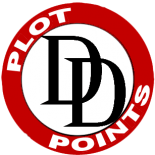 Heroic Roleplaying & the Cortex Plus system ™ Margaret Weis Productions, Ltd. This website is a work of fandom and is not intended to profit from or infringe on the rights of Marvel or Margaret Weis Productions, Ltd.